Comic News Insider Episode 858 – Heroes Con Interview Special w/ Tini Howard/Kevin Mellon/Andy Runton! Comic News Insider: Episode 858 is now available for free download! Click on the link or get it through iTunes! Sponsored by Dynamic Forces. 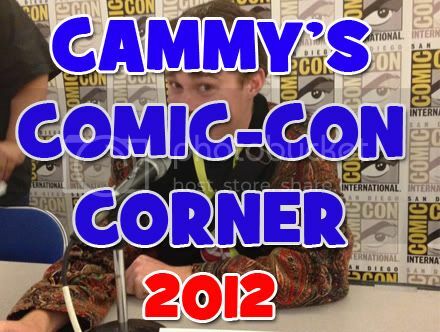 Jimmy got some great interviews while at Heroes Con! Tini Howard (Assassinistas, Rick and Morty, Hack/Slash) talks about her work, new found love of wrestling and what she would do if she could write a Venture Bros. comic. Kevin Mellon (Suicide Sisters, Archer) talks about his recent horror/suspense one-shot comics and what it’s like being the storyboard director/artist on the hit animated series Archer. Andy Runto (Owly) chats about his massive all ages hit comic Owly and how it has endured, what you can learn from it and what’s next. He and Jimmy also find out they lived in the same city for years back in the day! Leave your iTunes comments! 5 stars and nothing but love! Also, get a hold of us! I always go to my local comics shop looking for a great story! This week, during episode 213, I talk with Brahm Revel, creator of a series of graphic novels from Oni Press called Guerillas, which is an all-time favorite of mine! The third volume is scheduled for release in May, so I appreciated the chance to discuss these books with Brahm, including where the idea for this series came from, who the characters are, and what we can expect from the third book. You’ll also want to listen because Brahm has a special announcement about the future of Guerillas, one that, if you’re a fan like me, you won’t want to miss! Be sure to listen to this great interview about a terrific comic you should be reading if you haven’t picked it up already! Really! Comic News Insider Episode 533 – Un-Ironically Enthusiastic with Dana Aber! Comic News Insider: Episode 533 is now available for free download! Click on the link or get it through iTunes! Sponsored by Dynamic Forces. Big Thunder Productions’ Dana Aber joins her pal Jimmy in studio to chat about her upcoming nerdy musical theater production called Un-Ironically Enthusiastic (Nerds on Parade). In tribute, Jimmy sings a little ditty for her. Apologies to you all especially to My Chemical Romance. News includes: DC’s 3rd weekly comic announced, Warren Ellis to revamp Dynamite heroes, Dark Horse to publish Venture Bros. art book, autistic teen starts comic book vending machine business, Templesmith’s Wormwood gets animated, Fox and Sony team up in Amazing Spider-Man 2 stinger, and man sues ex over Snoopy plush doll. Leave your iTunes comments! 5 stars and nothing but love! Early drop but a short one (we apologize for those of you who like our normal filibuster eps) but we’ll be back to our normal long-form show by the next drop. Now let’s get onto it! In this special Comic-Con episode I interview Dave Dwonch, Eliza Frye, Andy Belanger, Buzz, and Murilo Martins. Also included is the press junket I was apart of that featured Doc Hammer and Jackson Publick. Mike shot the complete Venture Bros. Panel at the 2008 New York ComicCon. Variant Edition is the weekly video podcast covering comic book news, reviews and culture. Every week, episodes are online through iTunes, available on www.variantedition.com and sharable through Veoh, Blip.tv, YouTube, Google and LiveVideo. And don’t forget to check out our forums…let us know what you think of the episodes or would like to see something covered on the show.